The NVS-07 features an 8½" × 11½" hopper and a 3½" diameter nozzle. Also included are a retractable clay rest (which slides under the pugmill to save space when not needed), a roller shelf, a wire clay cutter, and a nozzle cover. A dual safety system with limit switch automatically stops the motor when the augers are exposed, and an overload switch protects the motor. The unit is very easy to clean and to maintain, and has locking roller wheels for ease of movement. 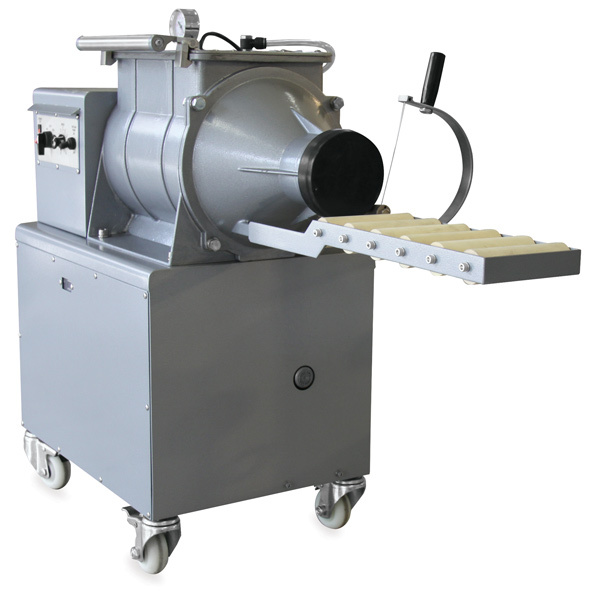 The NVS-07 De-Airing Pugmill Mixer measures 35"H × 38"L × 17"W.